The A-13A comes from passion, fascination and romance. A lifelong passion for flight, the fascination of precision mechanics an the romance of the era of piston-engined aircraft. 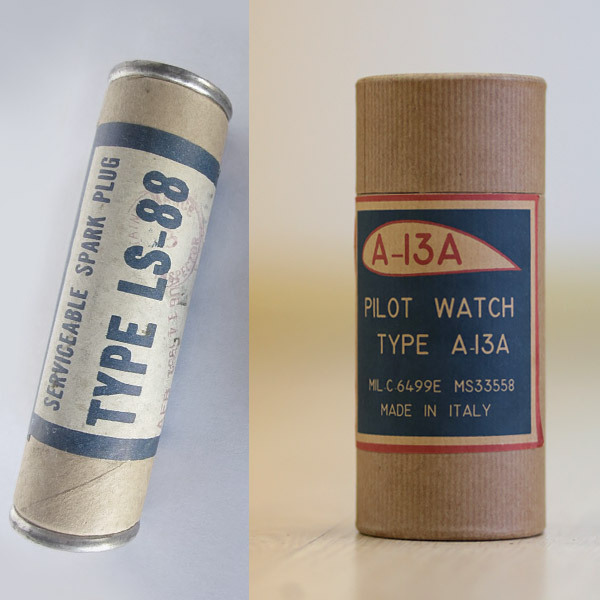 It also comes from the realisation that, to this day, there simply isn’t a more effective way of reading the time quickly, accurately and from a distance than the A-13A military specification dial. 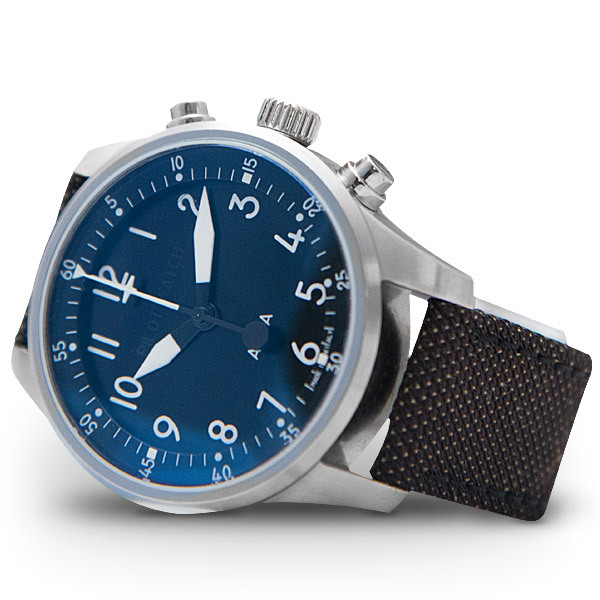 The need behind the design is simple: allow a pilot to tell the time at a glance while flying an aircraft in combat. Through research, study, trial and error, this is the result. As good today as when it was created. 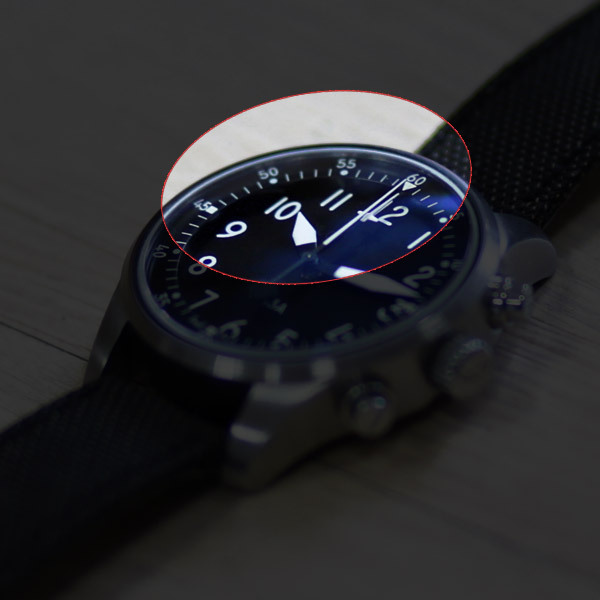 Why does it not look like a chronograph? It’s all about the legibility: when you are flying a plane you need to be able to read the elapsed time without being distracted for too long. A traditional chronograph has small subdials, so you have to take your eyes off the controls to read it, but with large, central seconds and minutes hands you can do this at a glance. What about the overall look? The dial and hands are as per MIL C 6499 military specification design of the clocks that equipped the American airforce’s planes in the ’50 and onwards. In fact the design is so effective that you still find it on modern airplanes to this very day. The case is also based on the MoD military spec WWW design from World War II, but we’ve made sure to incorporate some modern touches, such as curving the lugs downwards, to make it comfortable to wear. We figured that when you buy a watch, you want a watch and don’t really need extravagant, bulky double boxes that add little to its value. 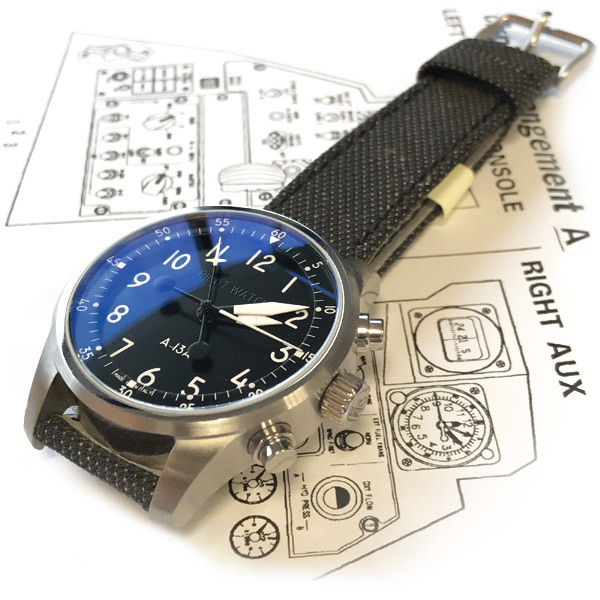 But that doesn’t mean we won’t deliver your timepiece in a cool package; in keeping with the aeronautical theme, we have created a container that resembles the tubes in which military spec spark plugs were supplied.